Over the past month I’ve been working with records in the Anne Dagg fonds for an upcoming project. Although Dagg has published extensively about topics ranging from Canadian wildlife and camels to gender discrimination in academia and the prevalence of anthropomorphizing in science research reporting, she is best known for her ground breaking field research of the giraffe. Hello, my name is Paulina! This fall term, I’ve had the wonderful opportunity of working with Special Collections & Archives for my MLIS co-op. As the term ends, I would like to share one of the amazing finds that I’ve come across during these past few months. One of which is the John Herbert fonds, which spans almost 2 meters of boxes! Now you might be wondering who John Herbert is, much like I did. Hello readers! My name is Katie Turriff and I have been a co-op student at Special Collections & Archives (SCA) since September. I’m studying planning here at the University and I will be in my 4A term in January. Working at SCA has been so thrilling – every day I learn something new and interact with so many intriguing objects and documents we have in the stacks. Are you an Indigenous language speaker? Are you currently enrolled in ARTS190, Introduction to Mohawk Language course? Are you interested in learning about other Indigenous languages and syllabics? The months don’t align. That is one of the few aspects of Ramadan that most would find confusing, it being dynamic in nature. Considering the Gregorian calendar is guided by the sun’s phases, and the Islamic calendar, by the moon, the dates are always changing. That is why the night of each Ramadan day, is a celebration. Yet again contradictory, most nightly celebrations are more modest than the end of the month celebration of Eid. The evolution of women's fashion proceeds as changes occur in human history. As people take in the information around them they change their tastes on everything. That includes how they define beauty. For me as a Fine Art student who is attracted by the changing definition of beauty, I am interested in how evolving concepts of beauty influence people's outfits. In addition, because outfits change that means what a woman has to wear under her fancy dresses is also going to change. Hi, I am Alice, a second year student majoring in Fine Art studio practice. It may seem strange to see a student of Fine Art who is willing to apply to the position of the Special Collections & Archives Project Assistant, which it is not so Fine Art related. Even my colleagues here have admitted that this job is sometimes not so creative, in the sense that, sometimes, people do paperwork and scan negatives. However, I feel differently since I became a part of this community. It is a treasure box full of surprises for me as a Fine Art student. It is unlimited inspiration. Just over two years ago I started in a newly created position as Digital Archivist. It took some time to figure out where my expertise would be best directed, but one task that was clear from the start was that Special Collections & Archives needed a way to selectively share our digitized primary resources. 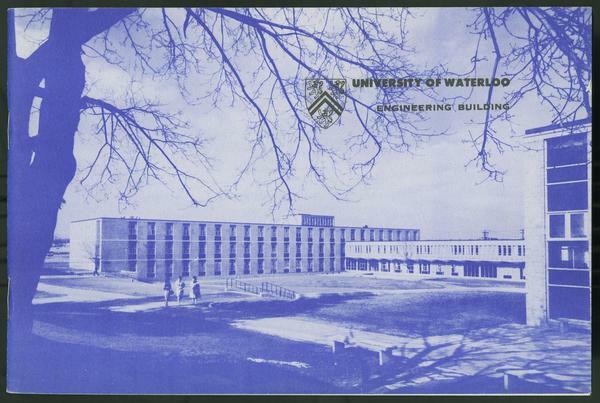 Readers, I’m delighted to share that we have a solution to that problem and its name is the Waterloo Digital Library (WDL).